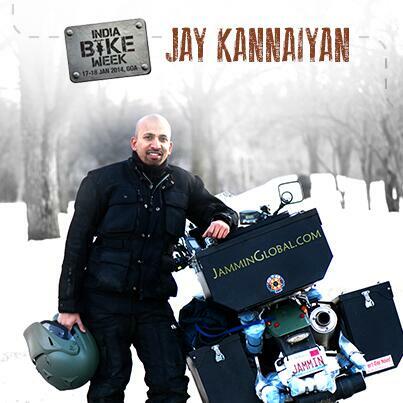 Excited to announce that I’ve been invited to India Bike Week in Goa (17-18 Jan 2014) and will be presenting about my trip in front of India’s largest gathering of bikers. 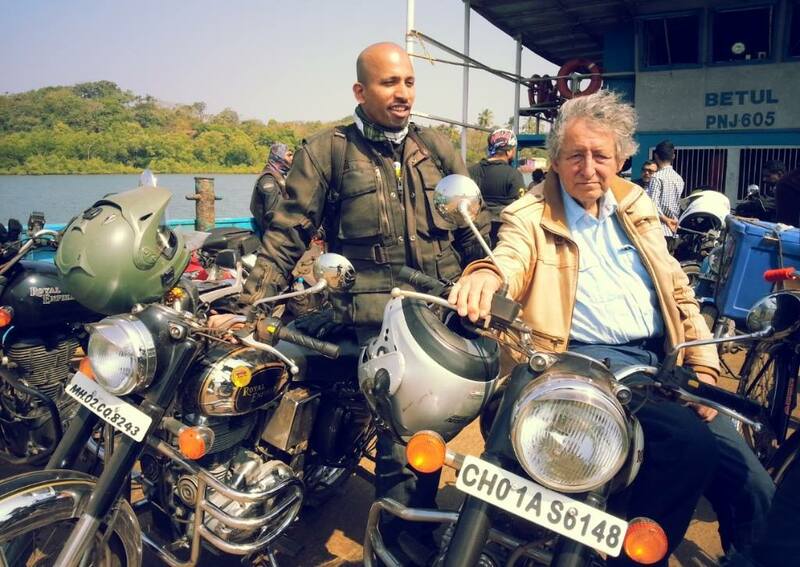 They only started last year, but IBW has big plans for becoming the Woodstock of motorcycle festivals. Happy Christmas and a Merry Holidays from Jammin Global! 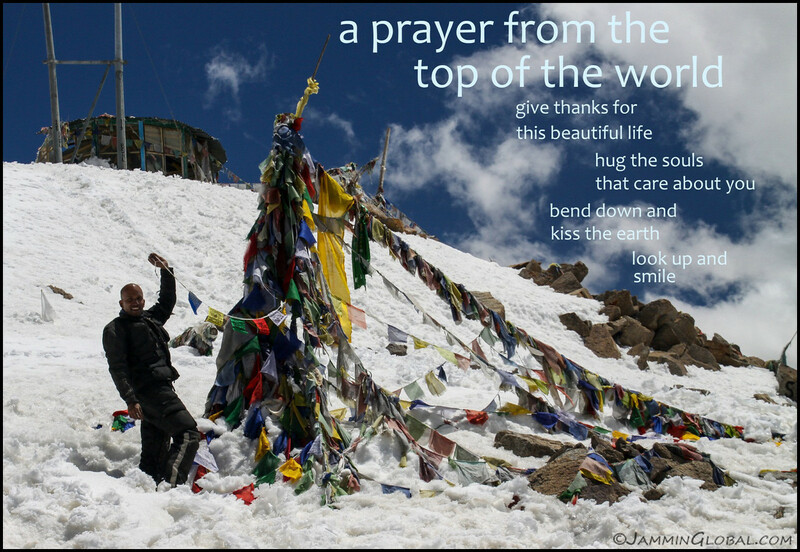 Thank you all for supporting the journey and here’s a prayer from the top of the world — at Khardung La. 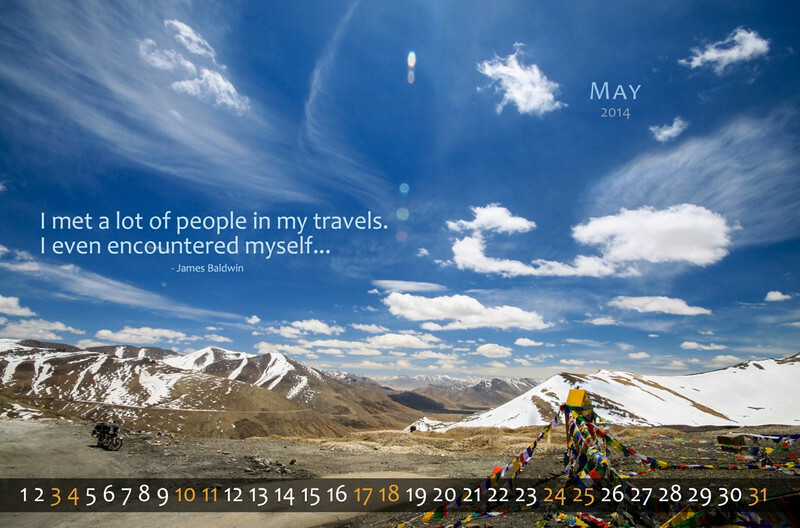 I’m thinking of making a wall calendar with inspirational travel quotes splashed across the Himalayas of Ladakh. Who’d be interested in one? 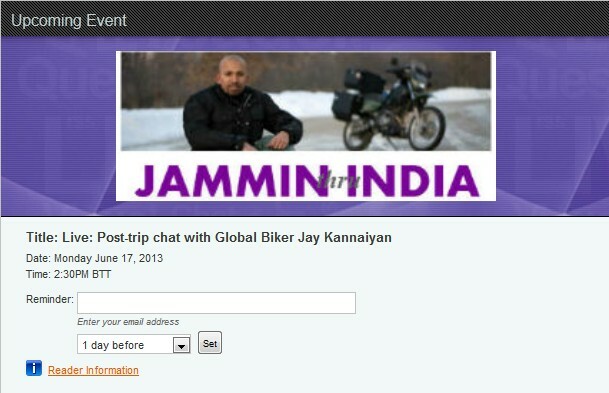 Probably Rs 500 shipped in India and looking at $13 for elsewhere. About A4 size, spiral bound on top, thick matte paper. I’m all cured from dengue! I was out for about 10 days and 3 of those were really terrible but I recovered quickly. The main thing was to monitor the platelet count in my blood. It dipped below the threshold of 150 units to 130 and but came back up to a healthy 350 and that means my body has beat back the virus. There’s no cure for it except rest, lots of paracetamol, water and whatever remedy you hear of for increasing platelets (papaya leaf juice, liver, pomegranate, etc). I spent a nice Diwali with my family in our farmlands outside Chennai. 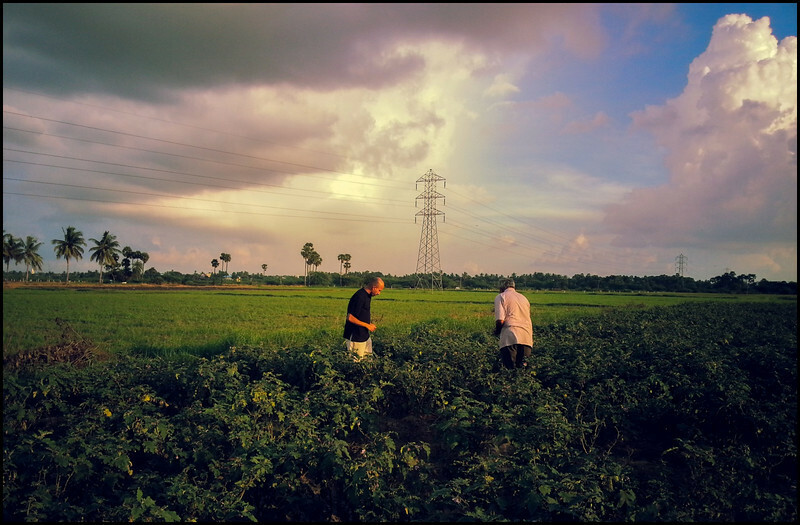 I’m picking fresh brinjals (eggplant) here with my dad from my uncle’s plot. Flew back into Delhi and it’s been years since I experienced Diwali with such ferocity. It sounded like a bombing campaign with the non-stop fireworks. Here’s to a new year! Uggh, been diagnosed with Dengue Fever, also known as Breakbone Fever. Aptly named as my joints and muscles ache all over. Have flown down to Chennai for some personalized medical care by Doctor Mom. It’s about Day 7 now and I’m on the recovery path. Lost about 10 lbs this week. Gawd, what a brutal feeling the first few days were. Incredibly weak, could hardly sleep or eat. But the end is in sight! Mutton for lunch!